PERICO ISLAND – You’ll soon be able to waste away in Margaritaville in a new way at One Particular Harbour. The first ever Compass hotel is coming to the newly opened marina at One Particular Harbour. 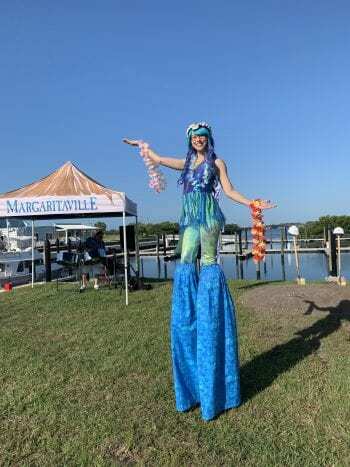 Representatives from Floridays Development Company, Minto Communities, Margaritaville Holdings and Compass came together at the site March 15 for a groundbreaking ceremony complete with stilt walkers, a steel drum player and gold shovels. 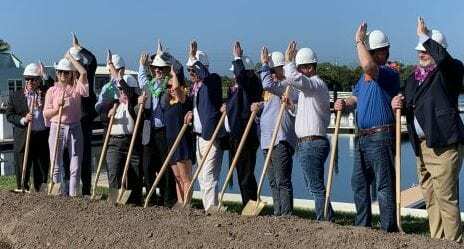 The six-story, 123-room hotel is planned to open in early 2020 and feature a free-standing Floridays Restaurant and Grill that will be open to the public. “This is a watershed day for us at Margaritaville, it really is. We couldn’t be more excited about launching the Compass brand. If you want to know what Margaritaville really all is about, all you have to do it turn around and look, so that’s a perfect place for our first Compass,” said John Cohlan, chief executive officer of Margaritaville Holdings. 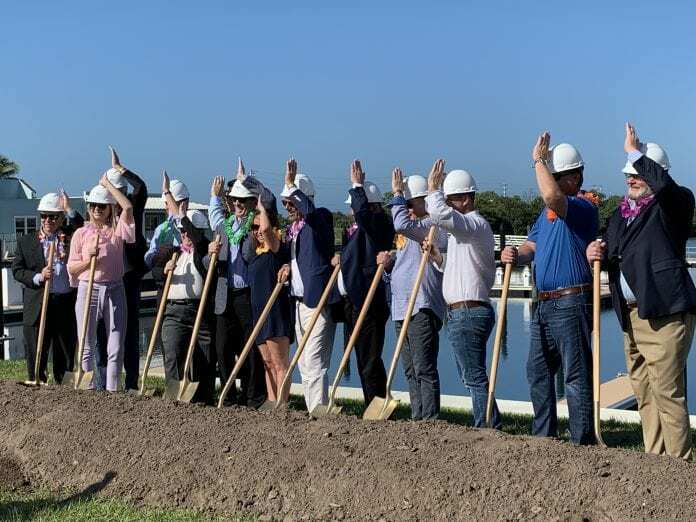 Rooms are planned to feature modern, nature-inspired designs with Margaritaville’s signature bedding, oversized bathrooms with rainfall showers, smart television and luxury onsite amenities. While staying at the hotel, guests can enjoy a daily breakfast buffet, cocktail happy hour, high-speed wi-fi and an outdoor pool area overlooking the marina. One Particular Harbour is a condominium development and deepwater marina located within the Harbour Isle development on the northwest side of Manatee Avenue on Perico Island. The development features waterfront homes overlooking Anna Maria Sound. For more information, visit the sales center located at the front of the development at 12300 Manatee Ave. W. or go online to Minto’s website.